Last report from Nmann707, nice report and pictures, that was a nice looking fish and still swimming. I went out for the first time yesterday we pulled my shanty out I checked ice depth in the middle of the big waters and their was a consistent 11". I didn't see any trucks yet, but it won't be long, I did pull the shanty out onto the ice with the truck then used a wheeler. With the current conditions a 2WD car could easily get around on the ice. How's the fishing? 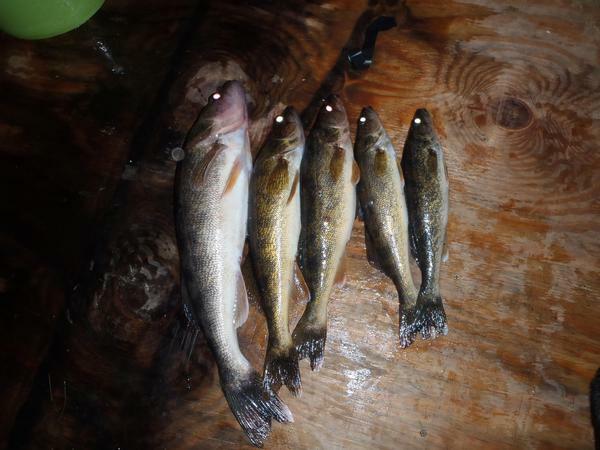 Pretty good, we fished late afternoon until a couple hours after dark, had 6 lines in and caught 6 walleyes kept 5. lost a couple up to the ice and had quite a few bites, not a bad start! Fished with shiners and suckers they bit on both. We set up on three types of structure, had the most action and caught the most fish on a 7' hump with boulders and a few scattered stumps. 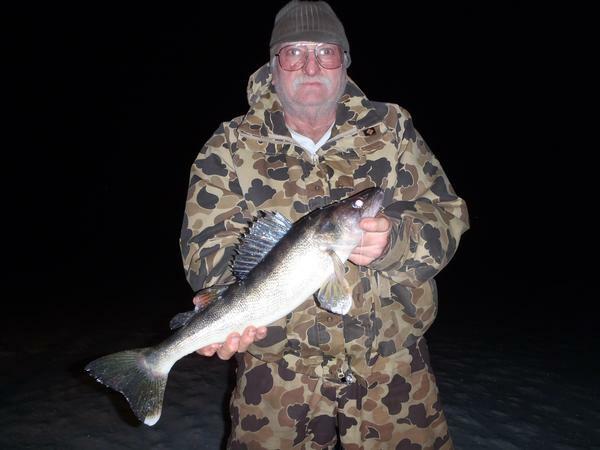 Caught the biggest walleye (22") on a 8' sand hump with scattered big stumps, no bites on the shoreline. We had the most action at prime time (sunset and just after) we did catch the biggest fish after dark. 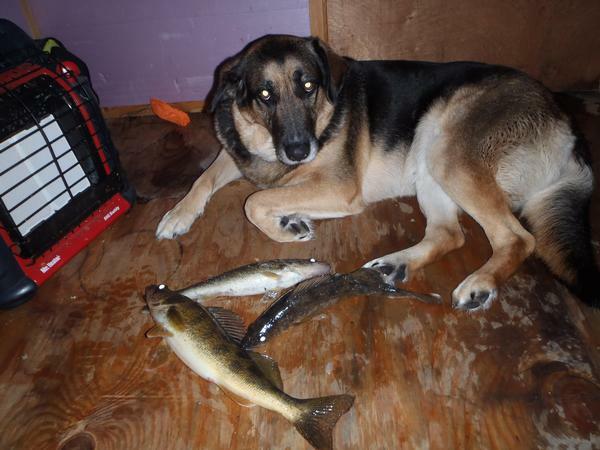 Mishka my ice fishing dog was as happy to be out fishing as we were. The start of another good ice fishing season!